Roughly 34.1 million Americans will travel at least 50 miles over the long Labor Day weekend, which runs from Friday evening through midnight Monday. With the holiday weekend comes busier roads, more hurried drivers, and distractions. 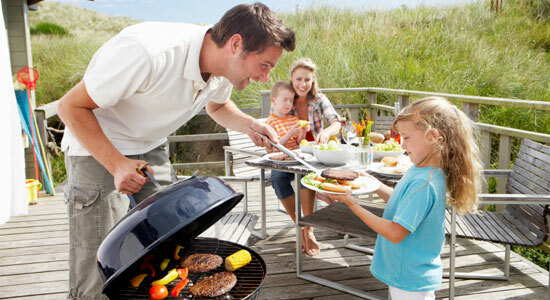 We have some tips to help make your Labor Day weekend more safe and fun for everyone. Never text and drive — Not only is this illegal, drivers in PA can now face serious penalties, with up to five years in prison. Never drink and drive — Again, this is illegal, but 36 percent of all highway fatalities over the 2010 Labor Day weekend were the result of drunk drivers. Take a taxi, Uber, or have a designated driver with you. Leave early — Try leaving early, so you can avoid as much traffic as possible. Use a GPS — If you are traveling somewhere new over the holiday, use a hands-free GPS to navigate there safely. If you’re tired, don't drive — It’s going to be a busy weekend, if you feel fatigued, don’t drive your vehicle. Try non-alcoholic drinks — There are numerous non-alcoholic beverages that you can make for your party. Check out some of the mocktails that we have compiled. Always wear a seatbelt — The National Safety Council estimates that over 100 additional lives could be saved this holiday weekend if all motorists buckle up. The holiday weekend may bring perfect weather for a nice bike ride with your family. With busier roads, cyclists should be extra careful when riding around town. Wear a helmet — Helmets can save lives, and with the number of pedestrians and drivers on the road, cyclists should protect their heads. Put on bright clothes — Wearing more visible clothes can help drivers see you pedaling alongside. Parents, definitely make sure your kids put on bright clothes if they are riding bikes near night time. Use lights and reflectors — Visibility is key, and with lights and reflectors cyclists can share the road more carefully. Stay home — If the roads are too dangerous, it may be better to keep your bike off the road. Parents, this goes for your young ones as well. Taking a motorcycle road trip over the Labor Day weekend? Be prepared to share the road with a lot of cars. Be visible — Check to make sure your headlight, backlights, and brake lights are working properly. It is also a good idea to wear bright clothing with reflectors. Dress for safety — Motorcyclists and their passengers should always wear a helmet. You should consider wearing leather or clothing with thick material to protect your skin from injury. Boots, long-sleeved shirts, pants, and gloves can provide additional safety to motorcyclists. Drive safely — If you are one a motorcycle, be sure to always signal when changing lanes, and avoid weaving between lanes. Use lane positioning to be visible, and watch for any turning vehicles. Even if you decide walking is a better way to get to your family's barbeque, there are risks to trotting around on a busy holiday weekend. Get a ride — If you have been drinking, it is safer to call a cab or ridesharing service for a ride home. Tell someone — It is always a good idea to tell someone you know, a friend or family member, where you are going, when you expect to get there, and to check-in. Pay attention — Be sure to watch drivers before you cross the street. Use a crosswalk — Too many times people have chosen to run across the street at a non-designated location, this can result in serious injuries or death. Please use a crosswalk. Catch 'em safely — If you using your holiday weekend to play Pokemon GO, be careful and watch for drivers. Whether you are planning on going on a road trip, turning on your grill, or hitting the beach, you will be joining the millions of other Americans on the road this Labor Day weekend. With these tips in mind — we hope you have a safe and enjoyable holiday weekend.